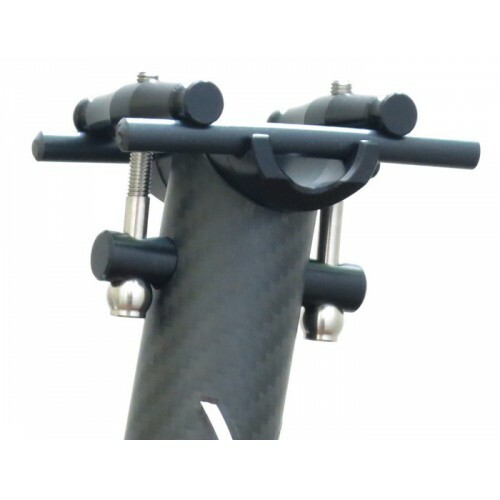 Carbon seat post with 0 mm set back. Aluminium parts are Ergal 7075 T6 while the screws are stainless stell. Available in 31.6 mm and 27.2 mm. This seat post integrates perfectly to any titanium frame. It's been a bestseller among the PMP prod..